There are several ways that phones are able to get docked and transform the user’s workspace entirely, and some of those examples are Samsung’s DeX Station, and Microsoft’s Continuum. However, we bet you have not seen anything quite like this. The Razer Project Linda is an exciting prototype that allows the user to dock the Razer Phone. The Razer Phone is able to get docked at the same place where the notebook’s trackpad is placed. Considering the 5.7-inch display of the smartphone, you will have a pretty large trackpad surface area but we have not reached the best part yet. The display of the Razer Phone will act as the trackpad itself, giving you a lot of freedom when moving your fingers here and there. Where the trackpad of the notebook is present, there is a retractable USB-C port that allows you to dock the Razer Phone. Looking at the dimensions of the trackpad surface area, it looks like you can only dock the Razer Phone and nothing else. After you have docked the phone, the simplicity of the customized Sentio desktop UI allows you to navigate the phone’s applications and also improve your productivity by opening up several different communication apps such as Skype, Viber and others. You can also open up word-related applications and modify your spreadsheets if that is what you require. 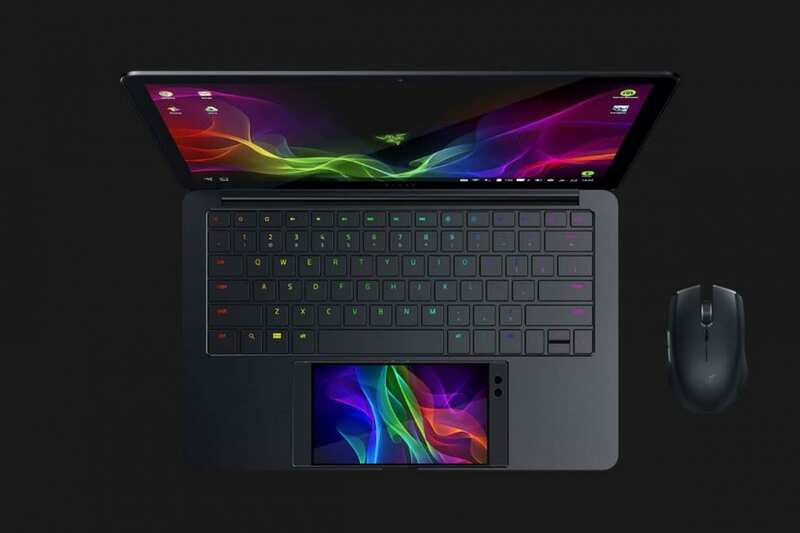 Unfortunately, Razer has said that Project Linda is only a prototype so there is a possibility that the device is not going to be manufactured on a large scale for the public to use. If it does, we believe it could transform the lives of potentially millions of people since a lot of them use their smartphones for a lot of things.